As you already know Tesco is one of the most successful retailers when it comes to supermarkets, giving their customers what they need on a day to day basis. When there’s a Tesco Baby Event everyone goes crazy, trying to grab the best products at the perfect discounted price. During the Baby Event there will be many things to choose from such as baby essentials, baby clothes and so much more! When is the next Tesco Baby Event for 2019? If any of our editors or insiders find out when the Baby Event is due to start, whether it’s this April or later on in 2019, we’ll be quick to inform you on the exact date and details in the comment section below. Where to find the Tesco Baby Event Deals â€“ You’re able to find the Baby Event offers on Tesco’s Official Website once they are live, so make sure you see the latest special offers once live at the Baby Event Page – also keep an eye out for Pre-event deals too!. Cannot wait for this sale, bring on the deals! Love the baby events, really looking forward to this one. Our insider has just announced there’s a high possibility that the Tesco Baby Event is due to go LIVE on Monday 16th January 2017. The moment it’s live we shall let you know. Cannot wait, its about time we need a stock up of baby essentials. thank goodness for this sale whenever this may be. 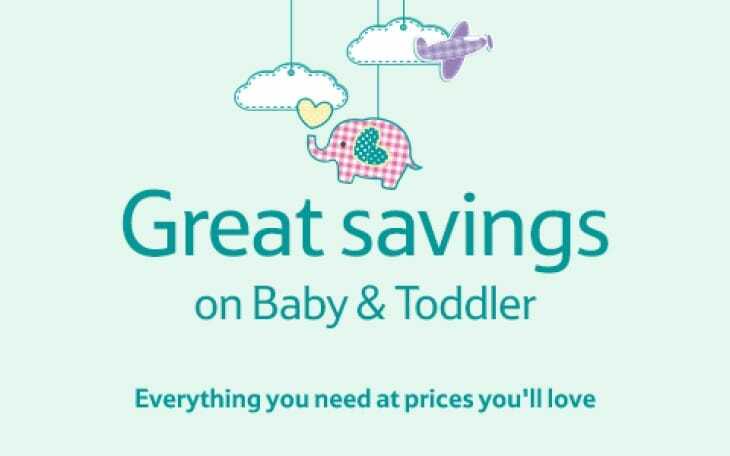 The Tesco Baby & Toddler Event is now LIVE, head over to their Baby & Toddler homepage and grab yourself a bargain! FINALLY! I’ve been up early this morning waiting for this hoping it would be today! thank you. Ive just saved Â£15 on a new high chair, this is amazing!!! has anyone else managed to grab anything else? i could do with a few more bargains? The Baby and Toddler event for May 2017 is now LIVE! Save 1/3 on selected items, until May 21. Let us know what you manage to save on! Hi Guys, we have confirmation that the next Tesco Baby Event starts on October 11!! Make sure you let your friends and family know. Great news everyone! We can confirm that the next Tesco Baby event starts on January 11 and will end on January 29 so a nice LONG sale to kick off 2018! Who’s looking forward to it? pampers baby dry are half price during the baby event.. fantastic! Tesco Baby Event is on now with 1/3 off many items! Also the next Big Tesco Baby Event starts on April 16 so don’t miss it! The latest Tesco baby event has started on 7th January 2019, it’s also taking place at the same time as Tesco celebrating being 100 years old with lots of other deals to mark the event.